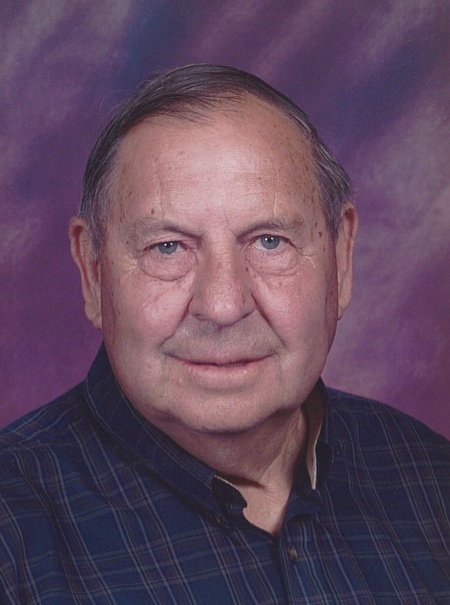 Lloyd Baerenwald, the son of Leo and Edna (Rehberg) Baerenwald, was born on January 12, 1930 in Worthington, MN. He grew up in the Worthington area and graduated from the Worthington High School. In 1952 he entered the U.S. Army and served until 1954. Lloyd was united in marriage to LaVonne Pittman on March 6, 1954 at the First Presbyterian Church in Fulda. After their marriage they lived and farmed near Brewster, MN. They remained on the farm until their retirement in 1990 when they moved to Fulda. Lloyd passed away on Monday, June 25, 2018 at the Sunset Hospice Cottage in Worthington, MN at the age of 88. He was a member of the First Presbyterian Church in Fulda where he had served as a trustee and elder. He also belonged to the American Legion. He enjoyed camping, fishing and collecting John Deere memorabilia. Even after his retirement he continued to help out on the farm. Survivors include his wife, LaVonne Baerenwald of Fulda, MN; 3 children, Vicki (Steve) Root of Trenton, IL, Mike (Renee) Baerenwald of Fulda, MN and David (Brenda) Baerenwald of Brewster, MN; 11 grandchildren; 4 great-grandchildren; many nieces, nephews, other relatives and friends. He is preceded in death by his parents; son, Daniel; grandson, Christopher Root; 4 brothers, Raymond, Theodore, Lawrence and Emil Baerenwald and 2 sisters, Bernice White and Leona Lueck.